The latest issue of Weekly Jump has confirmed three more playable characters for My Hero Academia: One’s Justice. 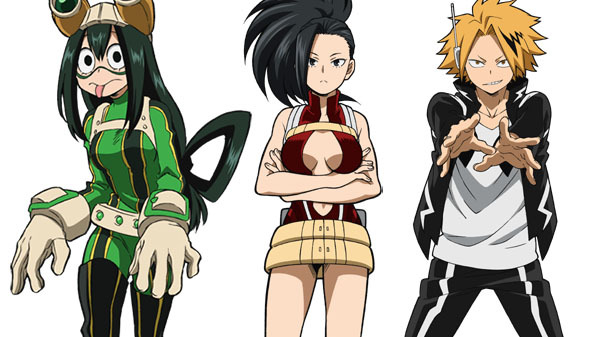 Tsuyu Asui, Momo Yaoyorozu, and Denki Kaminari have all made the cut. They'll be joining the cast of already confirmed characters, Izuku Midoriya, Tomura Shigaraki, Katsuki Bakugo, All Might, Ochacho Uraraka, Tenya Iida, and Shoto Todoroki.